Whether Sixth Graders are learning about food deserts before sorting food at Second Harvest Food Bank or Tenth Graders are studying clean water in preparation for a site visit to Harpeth River Watershed Association, Service Learning allows faculty and students to collaborate as education merges with community impact. At Ensworth, we are committed to fostering a spirit of service, encouraging students to become lifelong contributors. We believe this is best accomplished by allowing students to experience the joy of impacting others in a meaningful way. 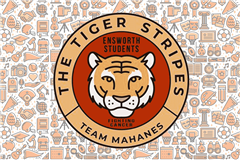 To uphold this commitment, Service Learning is a core component of the Ensworth program and is incorporated into the curriculum at every grade level. The program involves service to the school and to the broader community and includes research and writing components, grade-level meetings and activities, and hands-on participation in service activities in Nashville. 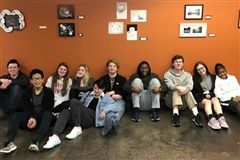 "From collecting pennies in kindergarten to traveling to Costa Rica during the summer before my senior year, Ensworth has taught me to always put others before myself, and help in whatever ways I can." 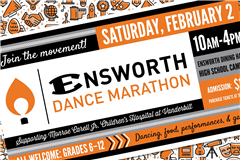 Ensworth partners with more than 100 organizations in the local community to ensure students can invest in a mission that is inspiring at an individual level. Each summer High School students have the opportunity to participate in a global initiative by working with international partners in places such as Peru, Tanzania, Costa Rica, China, Kenya, Belize, and India.